Reiner Hillricks Torbeck was born at Holtland Kreis-Leer in Ostfriedsland, Germany, January 11, 1850. He was the third child of three sons born to Friedrick and Moderina Torbeck. John his older brother married Augusta Driehaus and came to Nebraska in 1870. They had a hardware store in Tecumseh, Nebraska. and Anna, (Mrs. Fred Kienker). In 1909 they purchased a home in Johnson. Christena died in 1922 and Reiner in 1925. Both are laid to rest in the Johnson Cemetery. N C + Hybrids. Herman died March 19, 1947. Emma moved to Johnson in 1966 having raised and educated her family. She passed away April 11, 1983, and was laid to rest beside her husband in the St. Matthews Cemetery just west of Johnson. This information was collected from the history written by Anna Torbeck Kienker about her father and mother in the Torbeck Family book. The information on Herman and Emma Torbeck Oestmann, my father and mother, is my own. The seating capacity of the St. Matthew's Lutheran church was far too inadequate to accommodate the friends who gathered in Johnson last Sunday afternoon, May 10th, to honor Mr. Reiner Torbeck who passed away Thursday morning, May 7th, 1925, at 8:40 o'clock, aged 75 years, 3 months and 26 days. During the years spent in this country he made countless friends by his upright manner of living. He never spoke evil of anyone, he detested falsehoods. His time and care were given his family and home, where his thoughts were centered. Reverend William Harder, who conducted the funeral services, gave praise to the departed one as a good citizen, a loving father and a Christian. 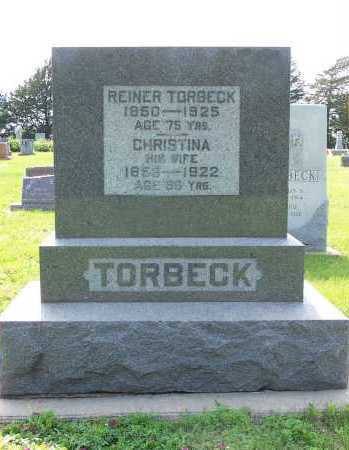 Reiner Hillerichs Torbeck was born January 11th, 1850, at Lehr, Ostfriesland Germany. His early life was spent in the fatherland where he was baptized and confirmed in the Lutheran faith. He served his country during the Franco-Prussian war, returning home at the close of the war with an honorable record. Shortly after the war he came to the United States to join his brother John who had immigrated to this country and located near Tecumseh. March 7th, 1877, the deceased was united in marriage with Miss Christina Dirks and they established their home on a farm near the Stone church. Four sons and seven daughters were born to this union. Besides farming, Mr. Torbeck did considerable carpenter work. 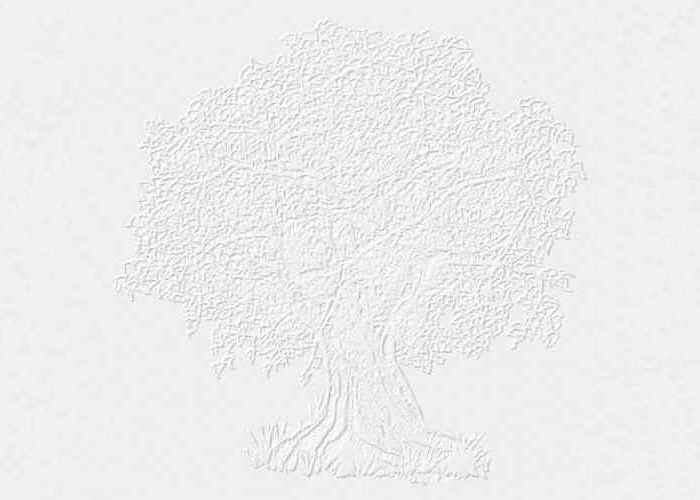 He was a most successful farmer and carpenter and he used his practicability to a good advantage. Mrs. Herman (Emma) Oestmann of Auburn, Nebraska, Dietrich Torbeck of Bryon, Nebraska, Mrs. Otto (Dora) Harms of Byron, Nebraska, Mrs. Fred (Anna) Kienker Jr., of Johnson, Nebraska, 46 grandchildren and many friends. Shortly after his removal to Johnson he became a member of St. Matthew's Lutheran church, where his funeral was conducted Sunday afternoon, following a short service at the home. A double quartet sang at the home and at church. His four sons and two sons-in-law residing here, Fred Kienker and Herman Oestmann, were pall bearers. Interment in the Johnson cemetery by the side of his beloved wife.